The Retro room is cozy and charming, with every possible comfort. It is decorated in a 1950s style, with Toile de Jouy fabric as the theme. The room has an armchair, an ottoman and a desk. The double-glazed windows overlook the village square. The separate bathroom has a hairdryer, complementary Clarins® toiletries and bathtub. 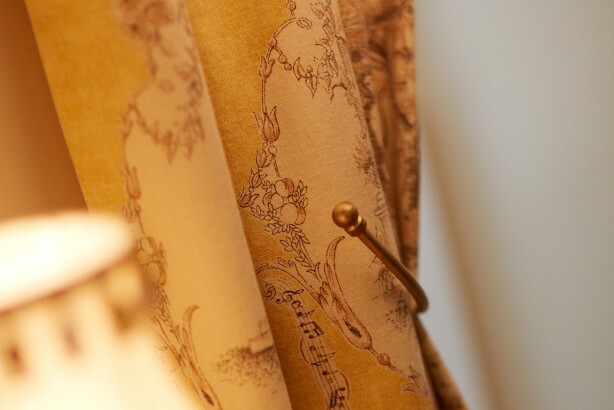 With a balcony to fully enjoy the ambiance of this traditional Burgundian village, yellow Toile de Jouy upholstery and a white and gold bathroom. 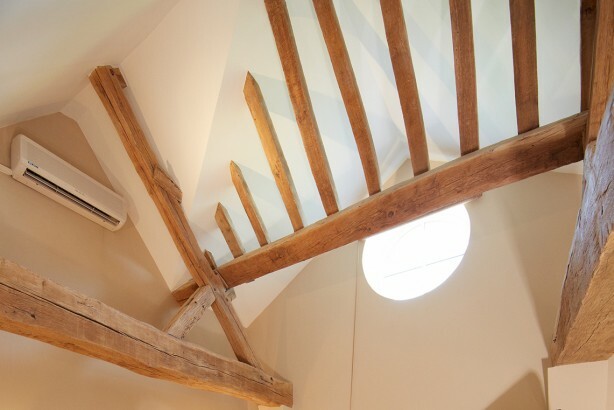 A large and airy room in the eaves with exposed beams and an impressive feeling of space. The rugs, curtains and bedspreads are in shades of blue with Toile de Jouy. The room has an œil de bœuf window and the bathroom is tiled in black.